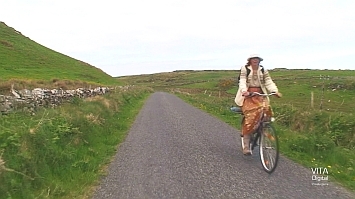 it's the perfect accessory for your spinner, recumbent or upright bike. 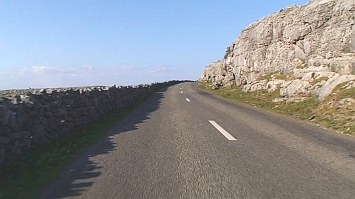 you will be traveling at 12 to 45 mph through one of the most beautiful and scenic areas in western Ireland. 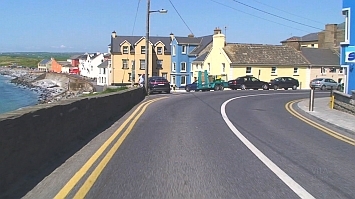 certainly one of the most picturesque areas on the Emerald Isle. 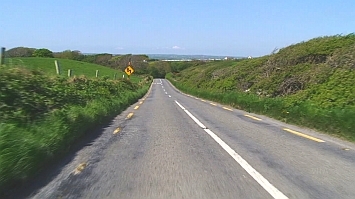 at approximately 45 miles per hour - just as if you were actually there on your bike. 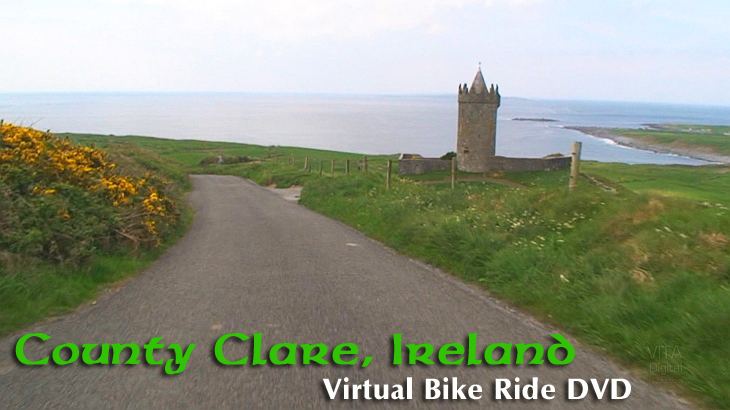 This is our fastest Virtual Bike Ride yet released! 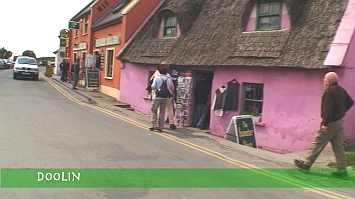 small Irish villages - you wouldn't want to startle the sleepy villagers! 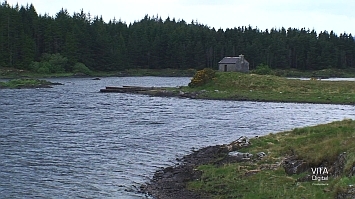 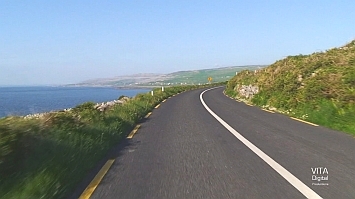 through the most scenic areas of western Ireland. 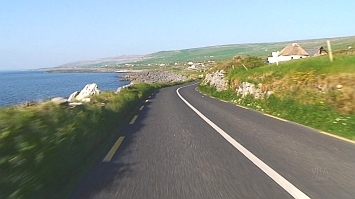 just as they were recorded in Dolby Stereo along the western coast of Ireland. 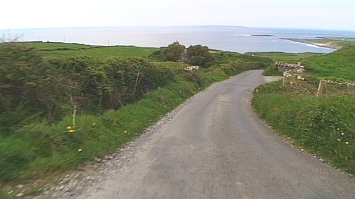 A Description of the Bike Ride on this Video. 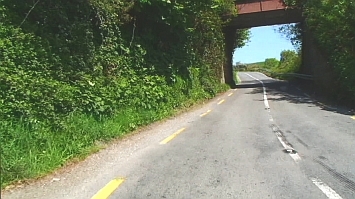 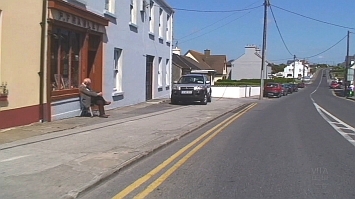 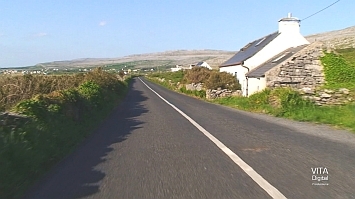 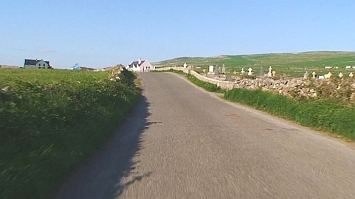 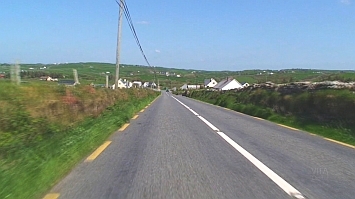 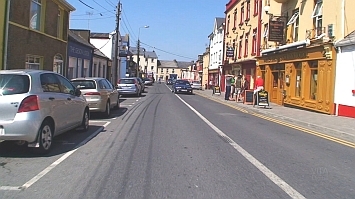 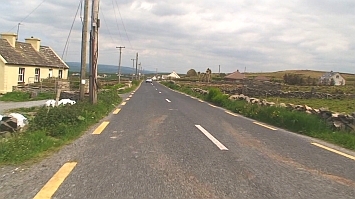 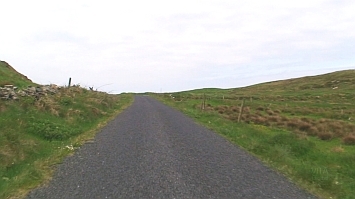 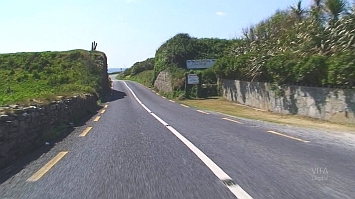 The first part of your 60 minute virtual bike ride begins on a narrow road in County Clare. 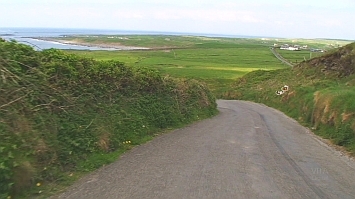 The paved road climbs a hill and then flattens out as you pass a few Irish homes. 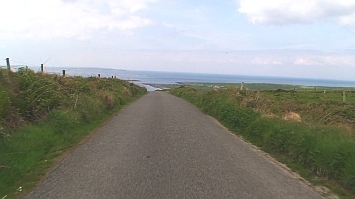 The narrow road pulls you forward past typical stone walls and soon you get your first view of the Irish coast. 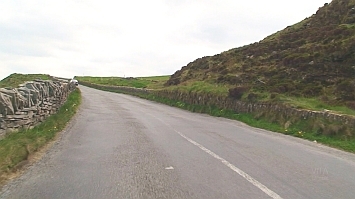 After cresting a hill, you speed down a long straight stretch of road. 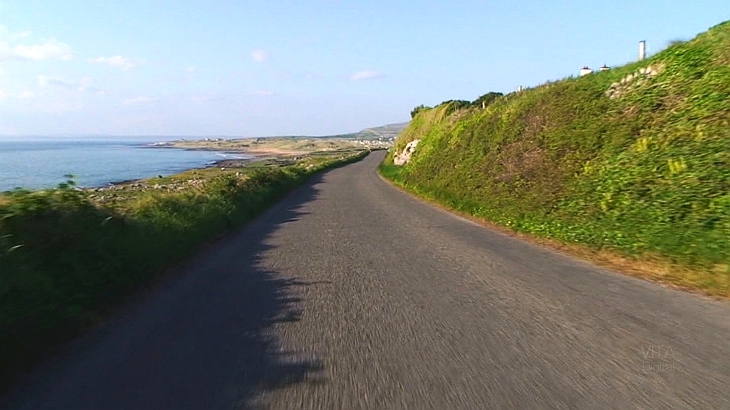 Mid-May, when this virtual experience DVD was filmed, is perfect biking weather. 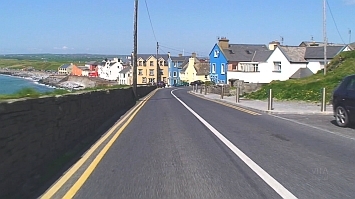 You slow and pass through the small coastal town of Lahinch. 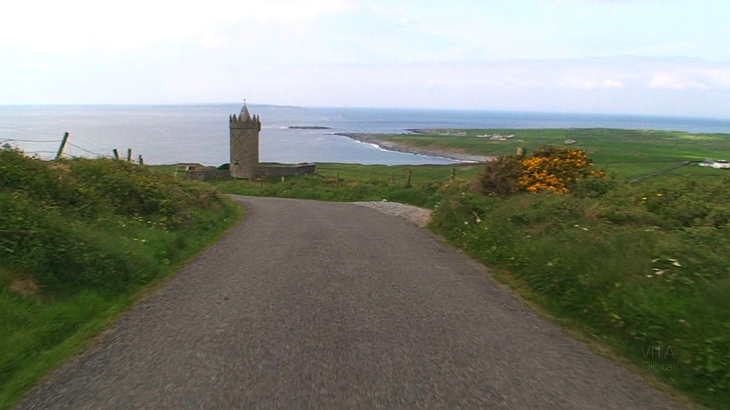 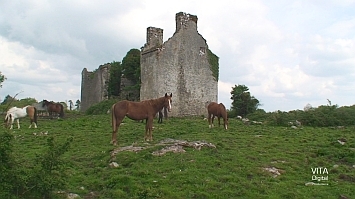 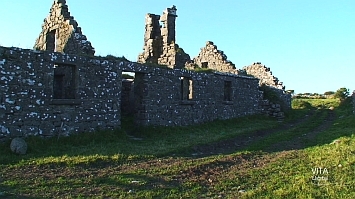 discover the Doonagore Castle overlooking the coastal town of Doolin. 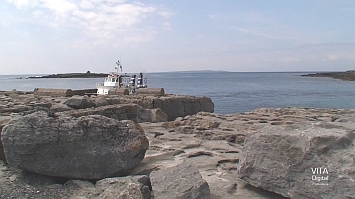 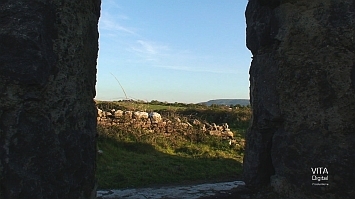 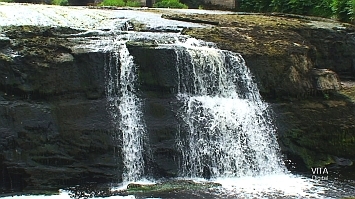 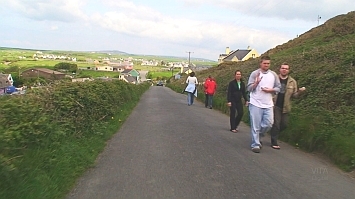 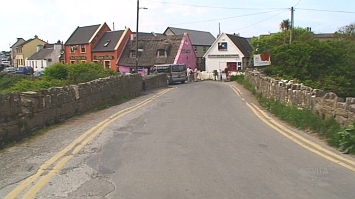 Further down, and after receiving a friendly wave, you cross a stone bridge and enter the scenic village of Doolin. 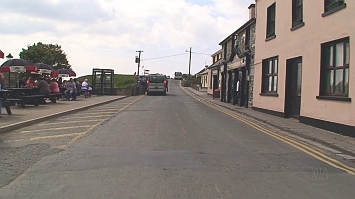 Doolin, with its famous Gus O'Connor's Pub, is a good place to pause and lift a pint. 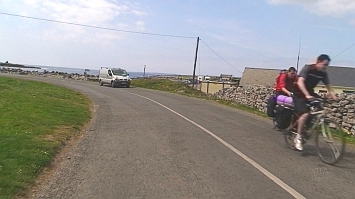 Your 1 hour virtual bike ride ends at the ferry dock for the Aran Islands: Inishmore, Inishmaan, and Inisheer. 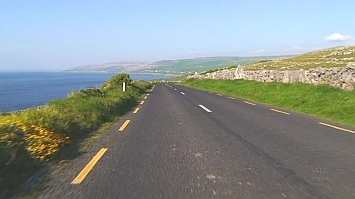 takes a closer look at the western coast of Ireland. 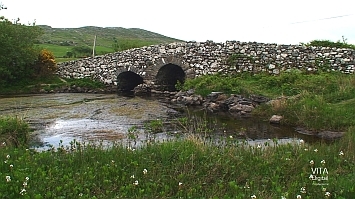 like the bridge used in the classic motion picture, "The Quiet Man." 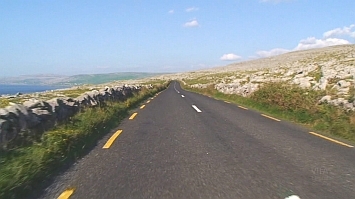 one you will long remember. 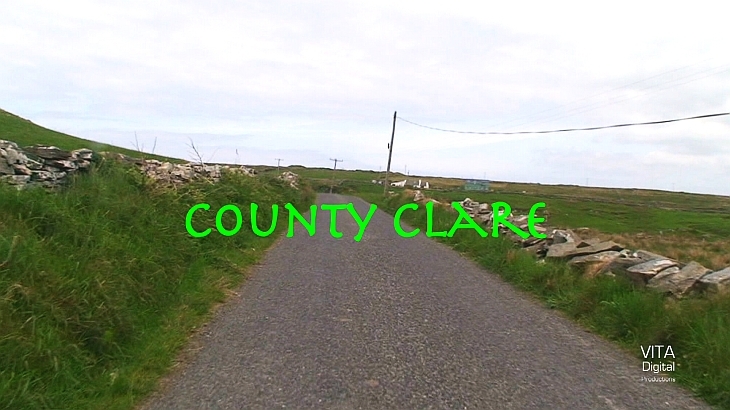 by the Natural Sounds (mostly birds and wind) in Dolby Stereo as they were recorded on site in County Clare, Ireland.